W I L D B L O O M : is my weird showing? the wonderful kiki tagged me in her post of eight odd traits, and i think it's a great idea because i am weird, and i own it. 1. i miss having braces. 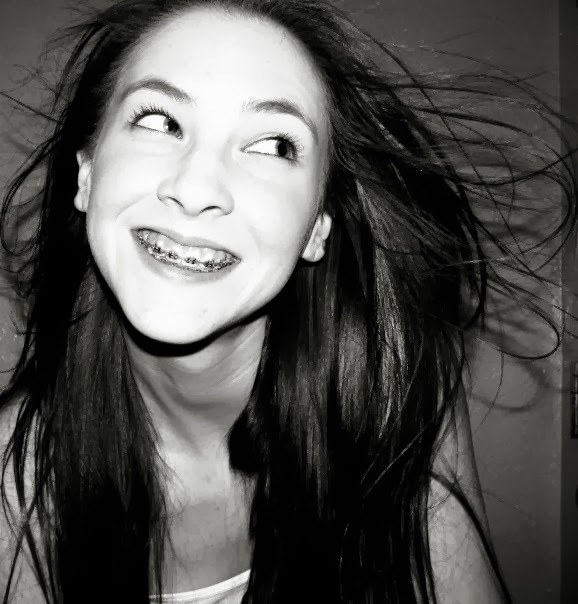 don't get me wrong: i love my pretty smile, but i LOVED having braces. like more than anyone in the history of bracefaces, i'm sure. it's because i wanted them so, so bad when i was growing up. i was twenty-one when i finally got braces. it's been four years since i had them removed, but i still miss my grill. 2. my burps put grown men to shame. i'm not exaggerating either. when i was in middle school, i had severe acid reflux. the doctor told me that when i need to burp, don't hold it in. well... i listened to him, and now i can hang with the best of them. 3. i talk in a funny voice when i see an animal. it's very high-pitched and child-like, and comes about when i see any kind of animal, especially a penguin. my poor cat is probably half deaf because when she walks into a room, i squeal, "oh hi, kitty!" if you have watched the pier one commercial with the little girl and her mama looking at the deer, THAT is what i sound like when i see an animal. 4. i never pick the first item when shopping. whether it be groceries or clothes or whatever, i always reach behind the first item and grab the next one. say i was buying shampoo: i'd move the first bottle and reach behind to the ones in the back. 5. i cannot handle feeling dirty. this might not seem too odd, but i am borderline ocd when it comes down to it. case in point: i get off work at four o'clock. i usually have my shower by five or five-thirty. and i shower every single day. i get anxiety when i think of getting into my bed un-showered. (aka: dirty.) i am also a germaphobe. i wash my hands eight to ten times a day. in turn, i have very dry patches on my hands, but not washing my hands would give me a panic attack. 6. i curl my hair with socks. i have used this method for over a year, and it really works. [i made a how-to video HERE]. 7. i dislike the color orange. i'm a tried and true sooner fan. the two rival schools' colors are orange. enough said. 8. i clip my fingernails twice a week. i don't like having long fingernails, so i end up clipping them every few days. what's even more odd? i wore fake nails for five years.